They don't know it, but ChuckleFish LTD. has taught us a lot over the last few years. So this post is a proverbial nod towards them for the lessons we've learned. Before we get into what we learned from them, we should probably provide a little bit of history. That got fans excited that they'd get to play Starbound on thier XBox One that year. However after that announcement there was nothing for a very long time. Sometime in 2016 fans started asking where the game was, but the company was silent. Occasionally the company would say things like, "We're working on it." But that only served to frustrate fans even more. That sordid history continues. As of now the game still has not been released on XBox One. The company has occasionally provided some information, but that information has been very sparing and really far between. The latest information, recieved just a week ago, was that the game is ready and going through testing. A full three years after it was supposed to be released, the game may finally see the light of day. That isn't the issue. The issue is how the company handled it in the mean time. They didn't communicate thier progress to the fans, and ignored most requests for information or updates. So after all this, we learned several things from the makers of Starbound, and these lessons helped drive the creation of our policies. First we learned that it is important to provide information to the fans on a regular basis. This is what prompted us to implement policy #3, "Regular Postings". Once a project has been announced to the public, it is our responsibility to keep the public aware of what is going on with it. To us, regular postings means that we need to inform the public of our progress at least once a month, if not more. To facilitate this, we make a meeting request in our mobile devices to both remind ourselves that we need to do it, and to give ourselves the time to make such a post. Second, we learned that we should not give any release dates until we are certain that we can release on that date. To us this means the game must be complete and ready to publish the day we make the announcement. This caused us to produce policy #4, "No Release Dates" and policy #5, "Final Release Date". Finally, we suspect that they failed to release in 2015 because of bugs that they introduced into thier code after the announcement. Because of this we have created policy #11, "Post Release Announcement" Since we won't announce a release date until the game is finished, the only changes allowed after the announcement and before release are to add content or fix bugs. We are not allowed to add new features during that time. Adding content can only be done if there is minimal chance of it introducing new bugs. This policy will help to ensure that once we set a release date, that we have absolutely no reason to change it. We learned a lot from Starbound. And while Chucklefish may have completely botched thier public relations in these regards, we still respect them as a company. I mean hey, Starbound is just an awesome game despite the companies failings. 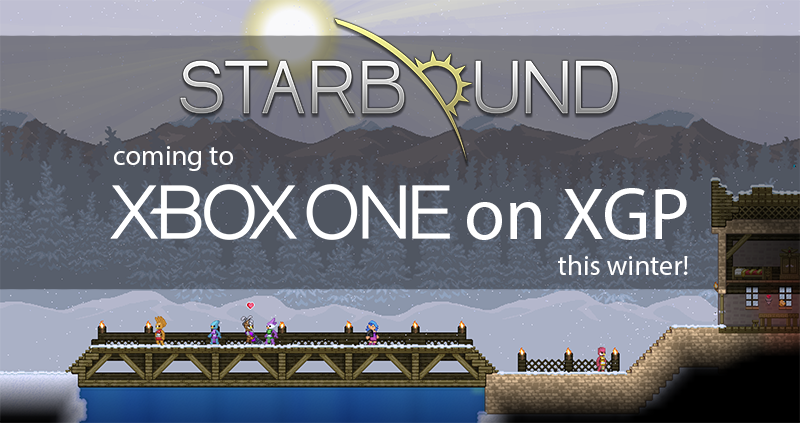 So we await the final release of Starbound on XBox One along with all the rest of you.